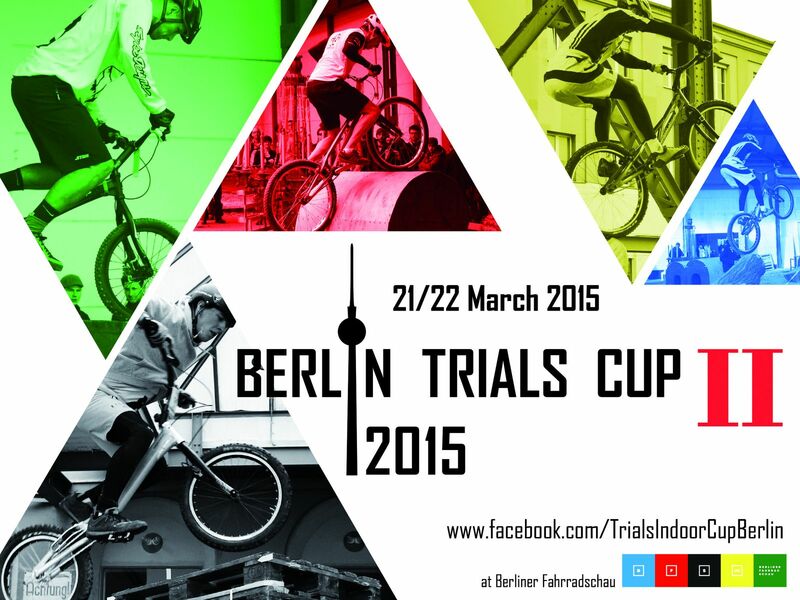 See you at BERLIN TRIALS CUP II in March 2015 ! After the successful and marvelous premiere in spring 2014, the exhibition halls in the heart of Berlin will be a meeting point of the German trial-scene in 2015 once again. 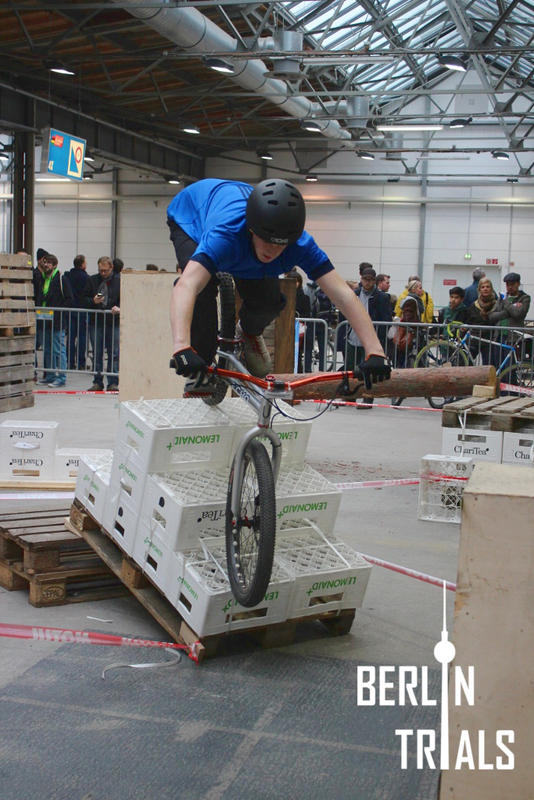 The modern and influential “Berliner Fahrradschau” is a trend show for all aspects of urban bicycle culture and presents bike sport competitions in 4X and bike-polo and the new highlight : the BERLIN TRIALS CUP ! 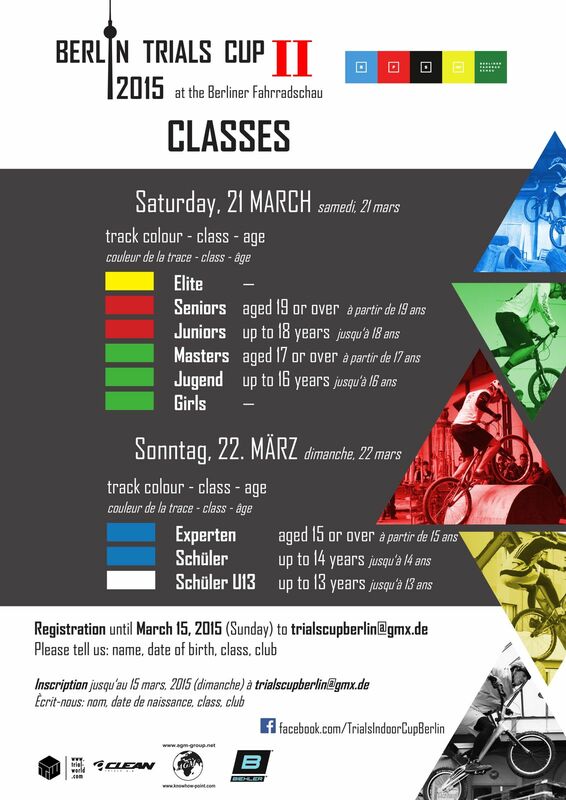 The German trials season 2015 will be opened at the weekend of 21 and 22 March with the BERLIN TRIALS CUP no. 2 at the “Berliner Fahrradschau”. The preparations are already running at full speed and the organizers like to heartily invite also international riders to take part at the BERLIN TRIALS CUP and spend some days in the vivid capital. Creative and ambitious sections in an unique atmosphere are promised. 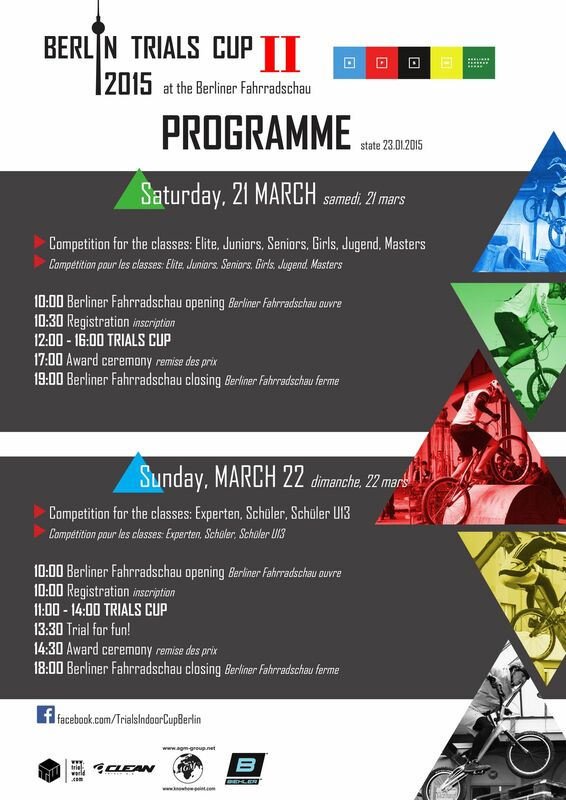 You can find below the provisional programme and the classses for this BERLIN TRIALS CUP 2015, and more infos about the event ! The official announcement is on the way, but the registration is already possible at : trialscupberlin[at]gmx.de (Please tell the Trials Cup Team : name, date of birth, class, club). 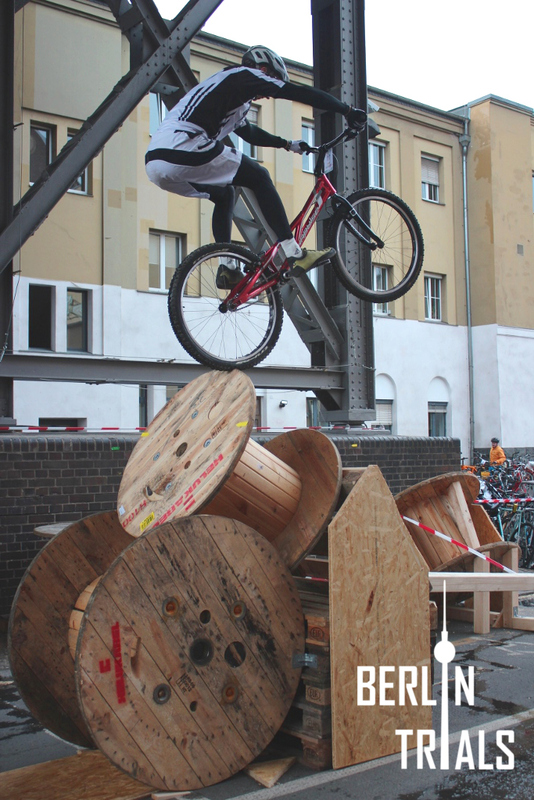 The collaboration between the “Berliner Fahrradschau” and the trials riders from Berlin started in 2011 with a small session next to the trade fair activities. 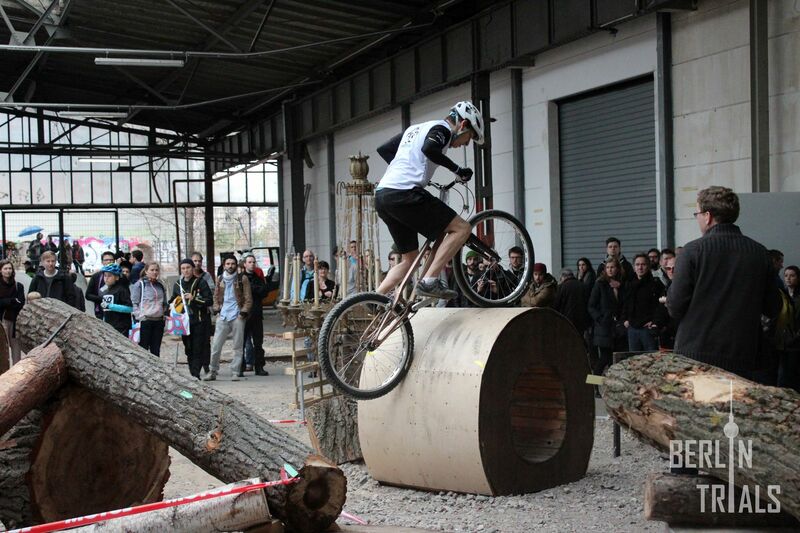 An old car and some stacks of pallets gave the opportunity to the riders to show the visitors what bike trials is about. 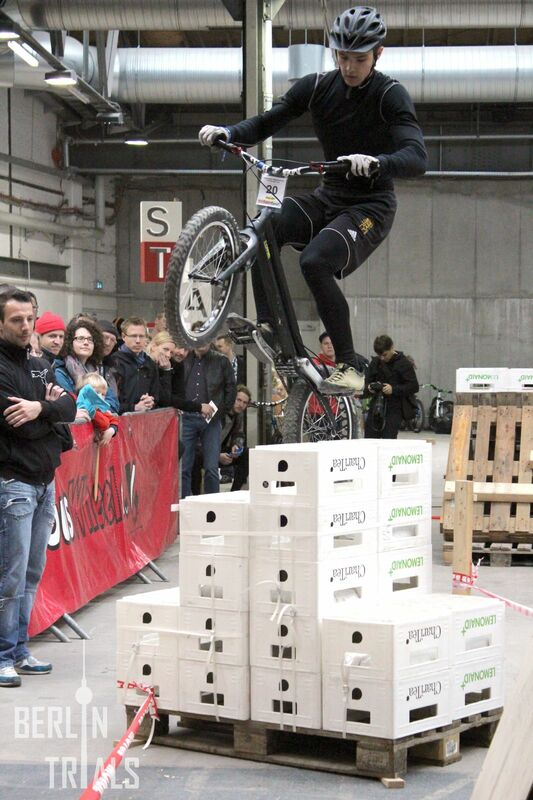 Unfortunately there never has been a bike trials competition in the German capital – a disgrace for the city ! This all changed in 2014 when Frank Drygalla, an experienced trials rider, organised the first BERLIN TRIALS CUP at the “Berliner Fahrradschau” with exceptional dedication and commitment. With the support of many helpers he build up an exciting trials event with five different sections which were spread all over the fair ground. Huge cable drums, bottle crates and tree trunks were delivered to create an outstanding contest. 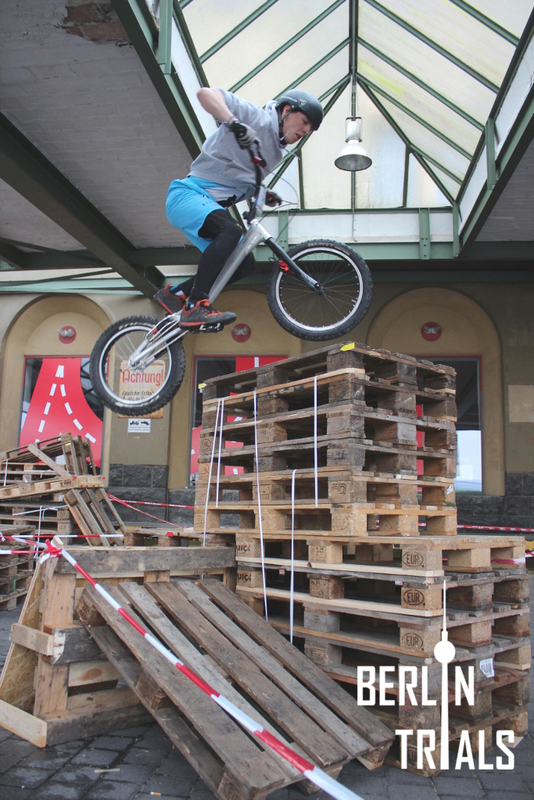 The event offered a platform for the successful young talented German riders like Hannes Herrmann, Dominik Oswald and Lukas Krell and helped to raise the public awareness for bike trials – which is, in contrast to France or Spain, less well-known in Germany. But also riders from Belgium and Poland took part at the competition and were seen by more than 17.000 bike-fanatics who visited the “Berliner Fahrradschau”. “We are already looking forward to next year !” was one of the most commonly used phrases. Driven by so much praise the organisers did not have to think long to reach the decision for a second edition of the BERLIN TRIALS CUP. 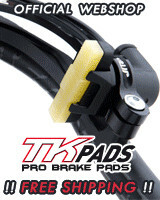 More information and pictures can be found on the facebook-fanpage : TrialsIndoorCupBerlin. New Inspired Fourplay Team Complete Bikes ! Following on from the success of the Fourplay Pro bike, Inspired Bicycles is pleased to announce that the Fourplay will also be available as an upgraded Team specification bike (in Gloss Red or Shot Blast Silver). Addo mountain bike display team has changed ownership. Dr Matt Barlow, who established the business in 2009, has sold Addo to Ben Savage, the owner of Savage Skills. The world-class range of Inspired street trials bikes is set to be enhanced with the introduction of a second steel model, the Console, which is being released at the same time as a major update to the popular Fourplay Pro complete bikes ! Australian National Series Round 3 - Perfect score for the Elite Nathan Mummery & new success for the Expert Janine Jungfels ! Following a successful opening round in Surrey, the British Trials Cup was in Blackpool over the May bank holiday weekend for round two, which was held on the man-made rocky formations along the north shore. The World Junior and British Elite Champion Jack Carthy won ahead of Ben Slinger and Scott Wilson ! British British National Trials Cup 2014 #1 - A well-deserved gold medal for Jack Carthy ! Première épreuve de la Coupe de Grande Bretagne - Une médaille d’or bien méritée pour Jack Carthy. The opening round of the British Trials Cup took place on Sunday 6th April at Hook Woods in Surrey and raise the level across all categories to better suit the status of a national series. Jack Carthy took the lead and a well-deserved gold medal, ahead of Sam Oliver ! Inspired Bicycles New 26" Bikes and Frames for 2014! Inspired Bicycles New 24" Bikes and Frames for 2014 ! Inspired Bicycles is very happy to introduce the 2014 Inspired Flow 24” and Element 24” complete bikes and frames, which will be in stock and available to order from official Inspired Dealers in the next few days ! Joe Brewer, Australian Trials 20" National Champion ! 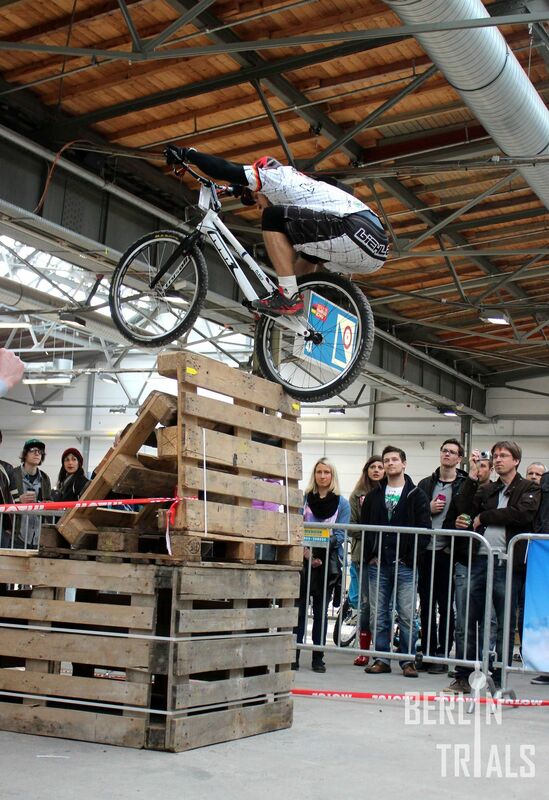 6th Cologne TrialsJam : on 1st /2nd March 2014, with Abel Mustieles ! The 6. 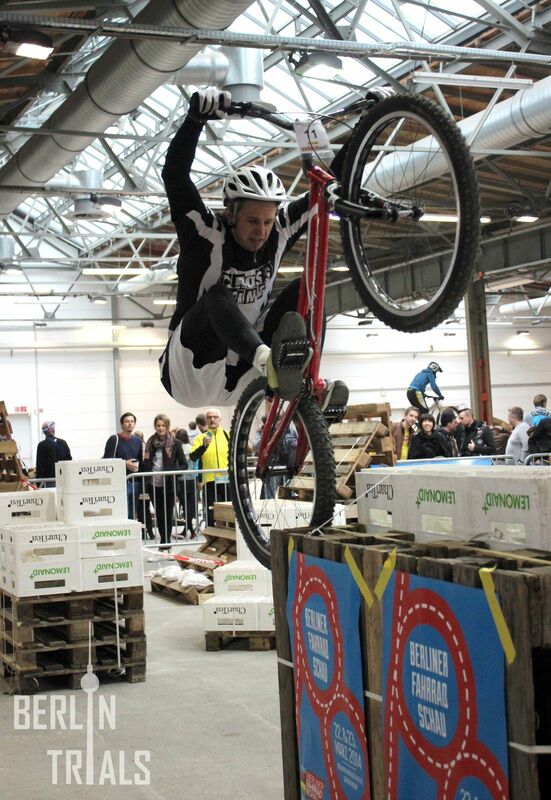 Cologne TrialsJam will be held on 1st /2nd March 2014, with all the best german riders and lot of international riders. Including for the first time a current Elite World Champion : the Spanish Abel Mustieles ! 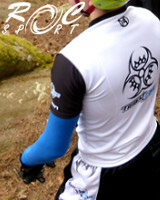 Follow him and join the Cologne Trials Jam – "Freedom of Movement" ! Josef Dressler, twice Bike Trial world champion and organizer of the famous Dressler Camp, just released a new book about riding techniques called "Skola cola". 272 pages in Czech language. More info here! Inspired Skye Pro 24" : the MacAskill’s bike more affordable ! Inspired Bicycles have just announced the release of yet another new bike, the Skye Pro 24" street trials bike. Based around the groundbreaking Danny MacAskill’s Skye frame and fork and kitted out with their Pro spec level components... Danny’s world-famous bike just got more affordable!